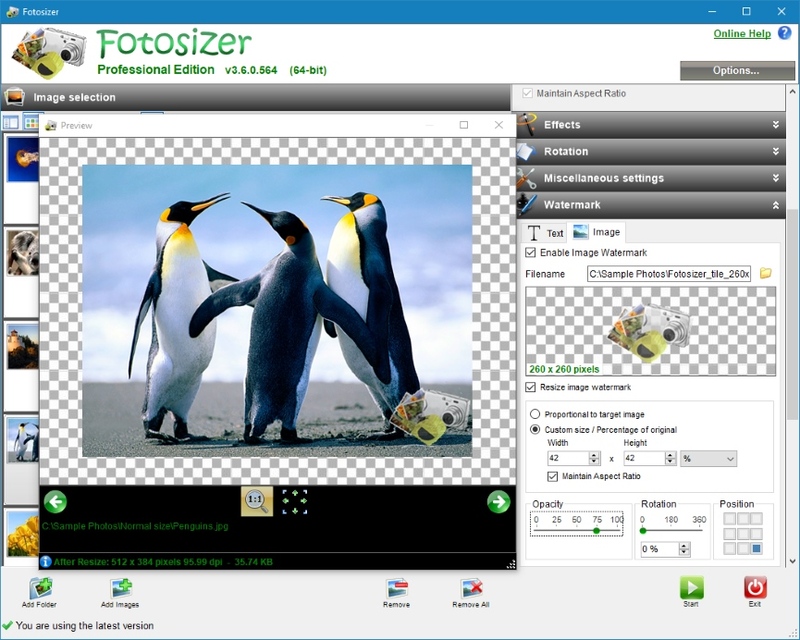 Images can be added using the "Add Folder" and "Add Image" buttons. 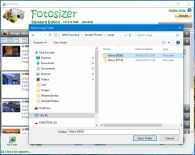 You have the choice of resizing to a specific width and height in pixels, or by a percentage of the each image width and height. 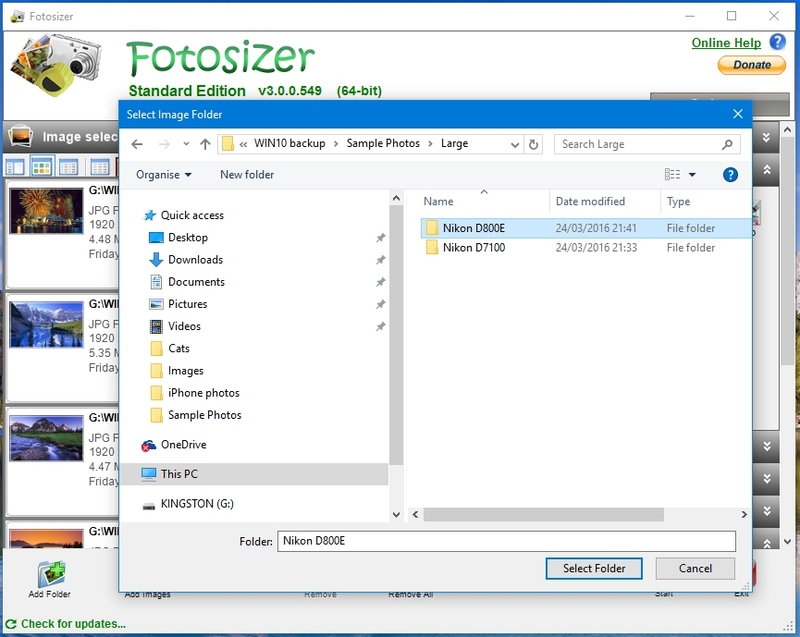 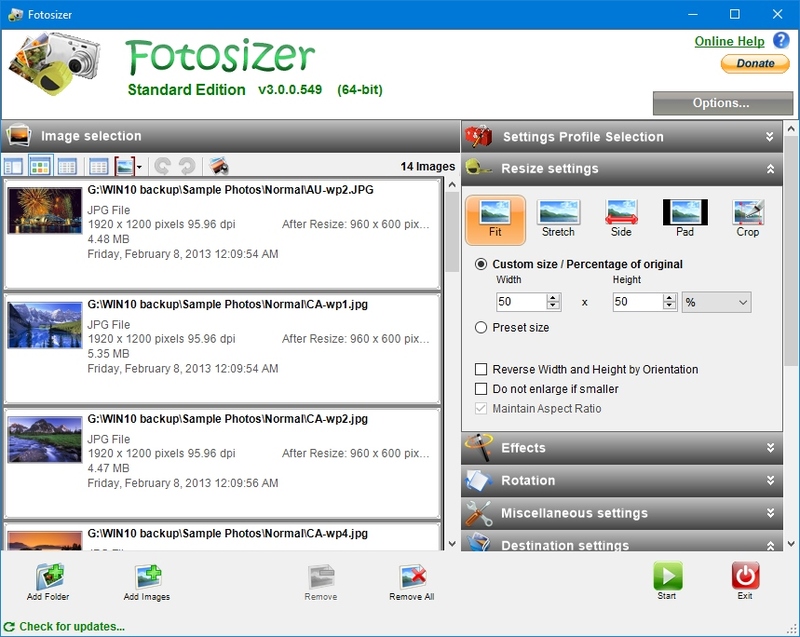 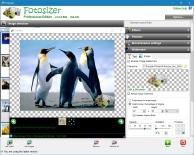 Using the "Include Sub-folders" option checked, Fotosizer will look inside sub folders of the folder you choose and get any images that are supported from those folders. 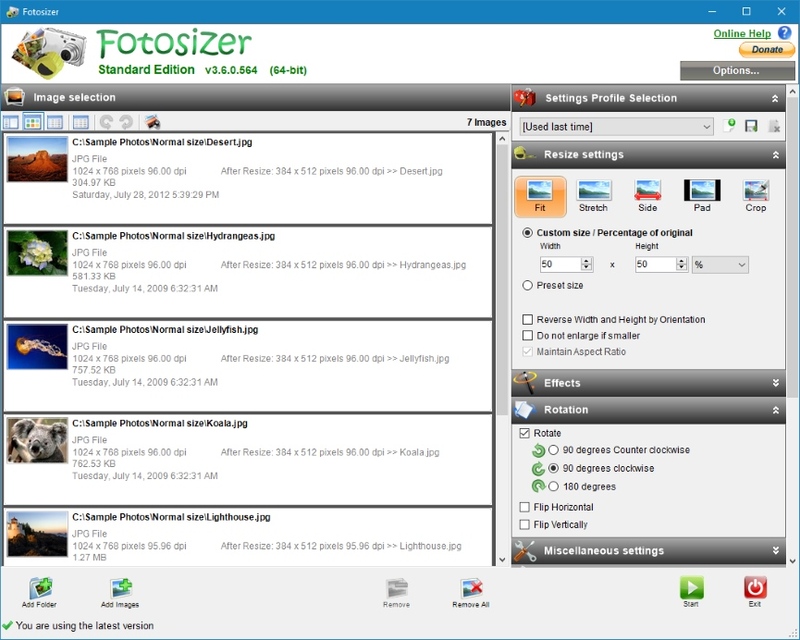 When you have all of your images selected and setting changed, resizing can begin by clicking the "Start" button. 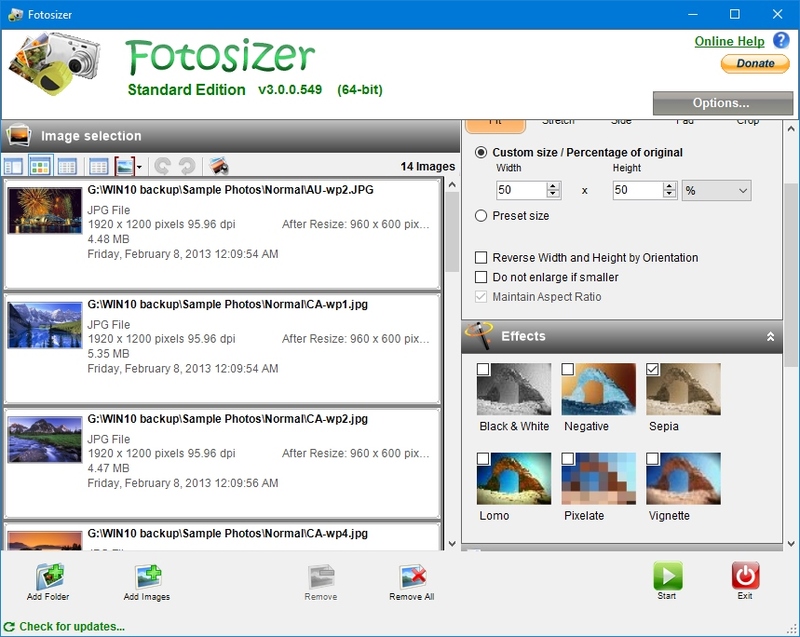 Choose optional effects to apply to the images from: Black & White, Negative or Sepia. 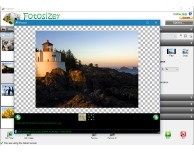 Choose optional rotation to apply to the images. 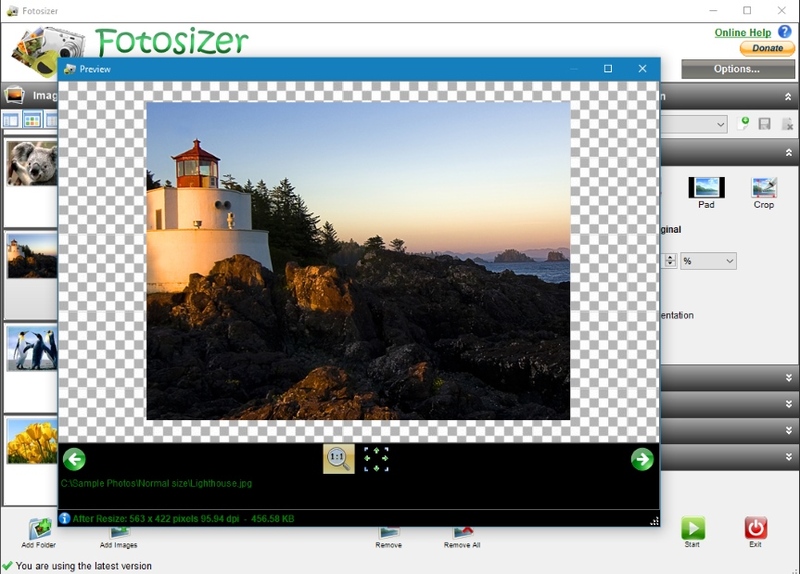 Preview how your photos will look in real time as you are changing settings. 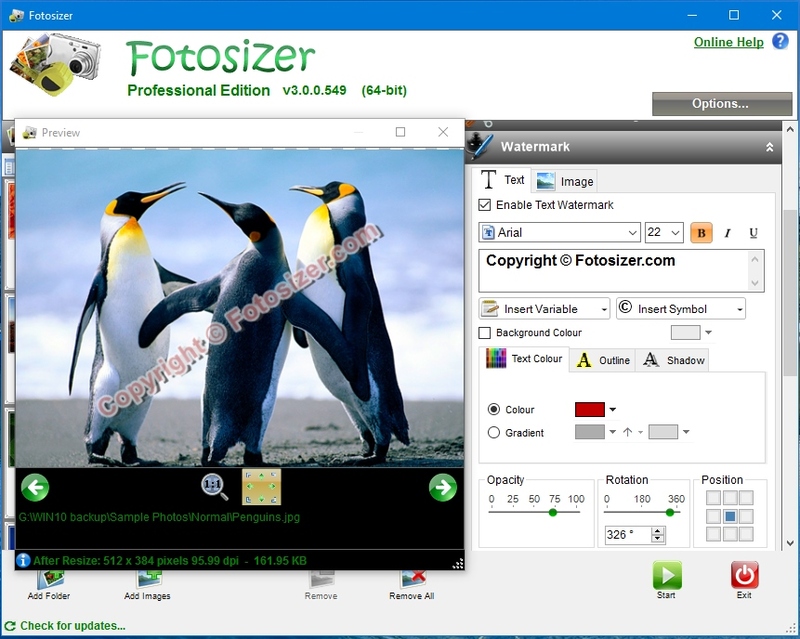 Apply text watermarks to your photos. 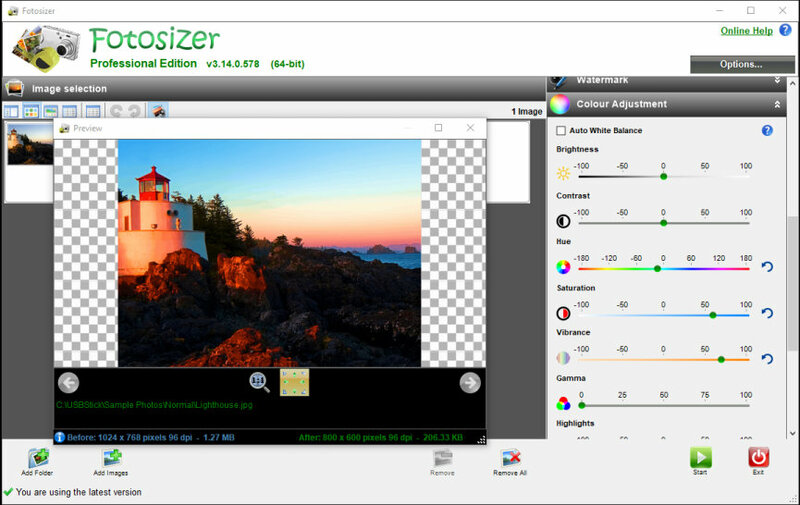 Add parameterized variables such as EXIF metadata, copyright symbols, date taken, choose text colour, outline, shadow, and more. 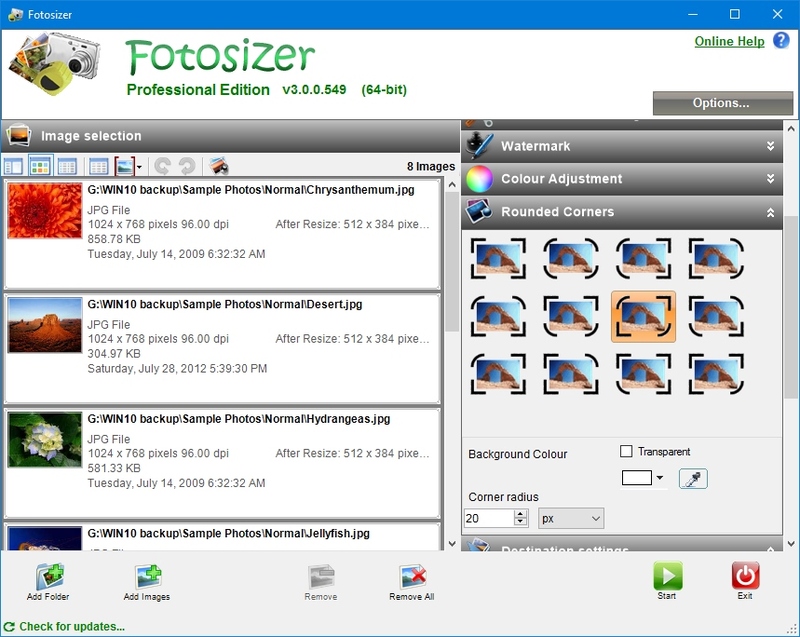 Apply image watermarks to your photos, choose it's size proportional to the target image or as a fixed size. 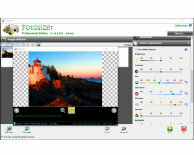 Apply colour adjustments to your photos such as brightness, contrast, hue, saturation and even auto white balance.